LILONGWE-(MaraviPost)-The Malawi government has withdrawn the Vice President Saulos Chilima’s security detail with immediate effect starting, July 25, 2018. A letter signed by Chief Secretary to the government Lloyd Muhara, addressed to all Principal Secretaries, and Heads of Departments, government said it will only accord privileges to the Vice President when he is performing government functions. “In compliance with the legal requirement, I wish to remind all the addressees that the Right Honorable Vice President should only be accorded such privileges and benefits as prescribed by law whenever government is performing government business,” reads the letter in part without specifically mentioning the privileges that have been stripped off. The vice president’s spokesperson Pilirani Phiri confirmed the development on late hours of Wednesday. “It’s true that today we were informed that the Vice President will not be accorded some of privileges his office is entitled to including his security,” said Phiri. The decision is not surprising to many because government has in the last few months been at daggers drawn with Chilima over a leadership wrangle in the ruling party. Two weeks ago, the President dropped Chilima as a minister in charge of disaster preparedness and moved the portfolio to OPC. Chilima has also been boycotting all government functions. 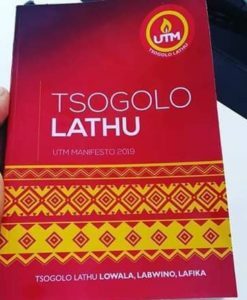 Last Saturday Chilima launched the United Transformation Movement in Lilongwe where he warned that he would arrest anyone reported to have become rich corruptly. This coming Sunday, Chilima is set to launch the movement at Njamba Park in Blantyre.